Tune-up - The tune-up has been obsolete for decades. 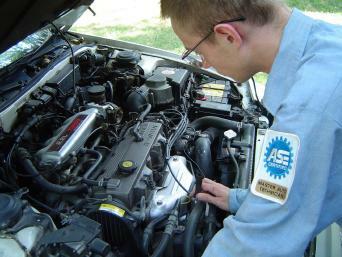 On late model vehicles with computerized engine controls, there is nothing to "tune" or manually adjust. Major engine functions such as idle speed, the fuel mixture and spark timing are all controlled electronically by the powertrain control module. In spite of this, many people still call changing their spark plugs and air filter a tune-up, when in fact what they are actually doing is scheduled preventive maintenance. Platinum and iridium spark plugs typically last upwards of 100,000 miles, and air filters can often go several years or 30,000 miles or more depending on driving conditions and dust exposure. 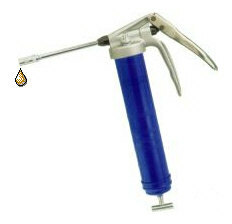 Chassis Lubrication - Some trucks may have grease fittings on the ball joints, tie rod ends and U-joints. The same goes for some heavy-duty aftermarket replacement ball joints, tie rod ends and U-joints. But on most late model cars and light trucks, the original equipment steering, suspension and drivetrain joints are all sealed for life and do not require any lubrication or service. Fuel Filter - Replacing the fuel filter every few years or 30,000 to 50,000 miles may be recommended for preventive maintenance, but many motorists have never had a fuel filter replaced! Unless you get dirt or rust in your fuel tank, the fuel filter should last for years or tens of thousands of miles. Many late model cars and light trucks no longer even have a recommended fuel filter replacement interval. Instead, they have a "lifetime" fuel filter located inside the fuel tank as part of the fuel pump assembly. Unless your vehicle is experiencing a fuel delivery problem, therefore, there is no need to replace the filter. Wheel Alignment - Accurate wheel alignment is essential to minimize tire wear and to keep your vehicle traveling straight. 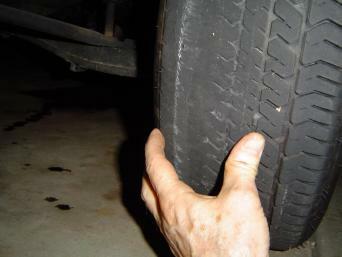 If your vehicle has been experiencing unusual tire wear, your wheels may need to be aligned. But if the tires are wearing normally and your car steers straight with no pulling toward either side, there should be no need to have the wheels aligned. Most tire stores recommend a wheel alignment check when you buy new tires. But if your old tires do not show abnormal wear and they lasted at least 60,000 miles, chances are your wheels are still in alignment. Once set, wheel alignment should not change unless steering or suspension parts are worn or damaged.